Who can take part in the benefeet promotion “every step brings a benefit”? How can i subscribe to benefeet? Registering with Benefeet is easy and free. You can register in participating Geox stores or on-line by clicking here Once registered, you will be easily recognised in every Geox store in the country and on geox.com, with your Name, Surname and preferably your email address or mobile phone. If I have already subscribed to benefeet, how can I take advantage of the benefits on geox.com? If I am already registered on geox.com, how can i take advantage of the benefits of benefeet on my online purchases? • 2 points for each Euro you spend on Child (Baby, Junior, Teenager) shoes/clothing/accessories. NB: Shipping charges do not earn any points. Can points earned in geox stores be added to those earned on geox.com? Yes. The points awarded in participating Geox stores and/or on geox.com, for purchases made within the same country and by the same consumer registered with Benefeet with a single customer number, will be added together automatically, as long as the country dispatching the products purchased on geox.com matches the country in which the points were earned in the participating Geox stores. Consumers registered with Benefeet who collect points in participating Geox stores and/or on geox.com in more than one country will have two or more distinct and non-cumulative point balances (one for each country). Each point balance corresponds to a specific status and the right to obtain the benefits related to it can only be exercised in the country where the points were awarded. Which discount vouchers are provided under the “every step brings a benefit” scheme? Consumers registered with Benefeet can make use of the different discount vouchers on reaching the relative status. Discount vouchers earned by reaching the thresholds of Urban Walker (150 points) and Globe Walker (250 points) can only be used on a subsequent purchase by 24/12/2018 (for Italy, France, Belgium, Luxembourg, and Spain) and by 06/12/2018 (for the UK, Germany, Austria and the Netherlands). Conversely, on reaching the status of Moon Walker (500 points) or Star Walker (1000 points) you can decide whether to spend them in that moment (i.e. by taking a discount on the purchase which permitted you to reach the status of Moon Walker or Star Walker) or spend them on a subsequent purchase by 24/12/2018 (for Italy, France, Belgium, Luxembourg and Spain) and by 06/12/2018 (for the UK , Germany, Austria and the Netherlands). Can more than one discount voucher be used for the same purchase? Consumers registered with Benefeet, who have the status of Globe Walker (250 points) and above, provided that the discount voucher earned for the previous threshold(s) has not be used, can decide whether to spend the vouchers singularly or together with the previous ones, as long as the latter have not already been spent and the value of the purchase is greater than or equal to the value of the discount vouchers. How can i use my discount vouchers? Discount vouchers can be used in any participating Geox store in the country (on recognition of the consumer's Benefeet account before the receipt is issued) or on geox.com for purchases shipped within the same country (on recognition of the consumer's account before the transaction is concluded). Discount vouchers can only be used for the purchase of full-price products (not in the sales and/or not in promotion) between 04/01/2018 and the 24/12/2018 (for Italy, France, Belgium, Luxembourg and Spain) and by 06/12/2018 (for the UK, Germany, Austria and the Netherlands). Discount vouchers cannot be used on the purchase of cleaning products and/or insoles/inserts and/or gift cards and/or for the payment of repairs/tailoring services and/or shipping costs, services only available in actual Geox stores. Where can i use my discount vouchers? Discount vouchers can only be used in the country where they were awarded. So, if you purchase on geox.com, you can only use a discount voucher if the country dispatching the product coincides with the country where you earned the point balance that awarded you the voucher; otherwise the discount voucher cannot be used. Where can i check my point balance? 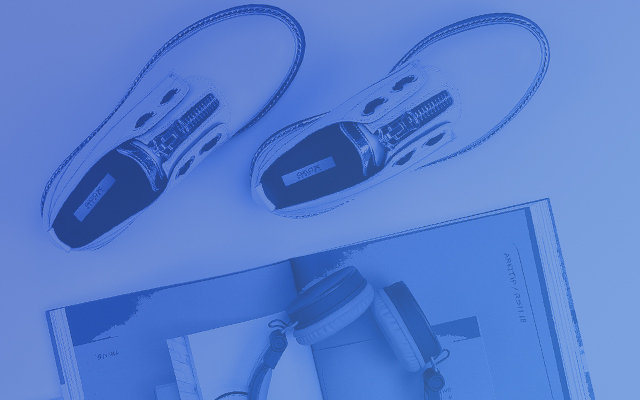 Consumers registered with Benefeet can check their point balance and the available discount vouchers, on their purchase receipt, or on geox.com or on the personal Benefeet web page (https://geox.valuelab.it/index.php?language=en), if activated. How are points calculated if goods are returned? If a product is purchased from a Geox store participating in the “Every step brings a benefit” scheme or on geox.com and is subsequently returned, this cancels the base points earned from the purchase of that product; the updated points total will be shown on the receipt, on geox.com or on your personal Benefeet web page, if activated. We would like to remind you that if you need to return a product purchased from a Geox store, you must return it to the same Geox store where the product was purchased. You need the original purchase receipt when returning a purchased product; if you do not have the original receipt, the return cannot be accepted. Products purchased on geox.com can only be returned via the website (not in a Geox store) within 14 days from the delivery of the product. In order to return the product, you must request your Return Authorisation Number on geox.com. You must then place the return label that came with the product into the package containing the product to be returned, as indicated on the reference web page (geox.com/returns) for the return of products purchased on geox.com. 1) Do I have to register to make an order? -	Manage the details of your account and register to receive the newsletter. 2) How do I make an order on Geox.com? Making an order on Geox.com is simple: you can quickly find what you want by browsing the categories in the main menu or using the search tool in the upper right-hand corner of the website. Once you have found the article you want, select the colour and the size and add it to your shopping cart. When you have completed your purchases, click on “Go to shopping cart”, where you can change the details of the products (colour, size, quantity), remove them from the cart if you have changed your mind or add them to your Wishlist to purchase them at a later date and share them with whoever you want. Enter the shipping data, select the shipping method you prefer and proceed to payment, choosing from the payment methods proposed. Check that all the information is correct, then confirm your order. 3) Can I add products to an existing order? You cannot change orders on Geox.com once they have been made, so it is not possible to add or remove articles. However, you can make a new order for the additional item if you want. If you change your mind, you can return the products free of charge within 14 days of the delivery date of your order. Please consult the specific section of the website for this. 4) What do I do if I forget my password? If you forget your password, click on “Sign in/Register” in the upper right-hand corner of the website. In the “Sign in” area for registered users, click on “Forgotten your password?”, enter your e-mail address and press “Send”. You will receive an e-mail with instructions on resetting your password. 5) How do I know if my order has been submitted properly? After you send the order, you will receive an e-mail confirming it. If you do not receive the e-mail, check if your spam filter is enabled. You can also add our e-mail address customerservice@geox.com to your address book to ensure that our e-mails are sent to your inbox. If you have not received the order confirmation e-mail, contact our Customer Service. 6) How do I create a Wishlist? If you prefer to make the purchase later on, you can save your articles on a Wishlist by clicking on the “Wishlist” button on the product page. You can create your Wishlist if you are already registered on the website and logged in. You can place the products on the Wishlist directly in the shopping cart in order to purchase them or share them via social media and e-mail. 7) Can I share my Wishlist? You can share your Wishlist with friends and relatives on social media (Facebook, Twitter, Pinterest) or via e-mail, including a personalised message. 8) Does my personal information remain private? 9) What are cookies? Should I worry about them? 10) Can I cancel an order once I have made it? It is not currently possible to cancel an order once it has been made. However, if you are not completely satisfied with your purchase, you can return it within 14 days of delivery of the order. For more information, consult the Returns and refunds section. 1) When will I be charged for the order? The order is only charged on your credit card after it has been shipped. If any of the articles you have ordered are not available, you will receive an e-mail from our Customer Service and only the available articles will be charged on your credit card. 2) I have a discount code. How do I use it? It is really simple to use a discount code. When you make a purchase, click on the “Shopping cart” icon in the upper right-hand corner of the website to view a summary of your order. Enter or copy your discount code in the “Do you have a discount code?” box and click on “Apply”. 3) Are orders on Geox.com secure? 4) Can I save my credit card information in my Personal Area? It is not possible to save credit card information in the Personal Area. For your security, we will ask you to provide your credit or debit card information each time you make a new order (even if you have already used them in our store). This means that anyone who discovers your password and tries to make an order using your account will be unsuccessful. We are certain that you will understand that this is an essential precaution designed to protect your personal information. 5) Can I use PayPal as a payment method in all countries? You can only use PayPal to purchase in the following countries: Austria, Belgium, United Kingdom, Germany, Denmark, Estonia, Spain, Finland, France, Greece, Hungary, Ireland, Italy, Luxembourg, Latvia, Netherlands, Portugal, Sweden, Slovenia, Slovakia, Lithuania, Switzerland, Monaco. 1) Can I track shipment of my order? Once the order has been shipped, you will receive an e-mail confirming the order and containing the shipping details and a tracking number to following shipment of your order. If you are registered on Geox.com, you can track shipment of your order in your Personal Area. Click on “Log in/Register”, enter your credentials and then click on “Orders”. If you are not registered, we recommend that you do so, in order to track the status of your orders in the future by logging in to your Personal Area. 2) When will I receive my order and what are the shipping costs? We ship to 28 countries in Europe and offer various shipping options to satisfy your needs. For further details, see our Shipments section. 3) Does Geox.com ship to post office boxes or via forwarding agent? We are unable to ship to post office boxes or using poste restante. We also do not ship via forwarding agents. 4) Can I change the delivery address after the order has been shipped? For your security, the delivery address cannot be changed once the order has been made. We would therefore ask you to ensure that you are available at the shipping address when the delivery is due. If you have entered an incorrect address, please contact our Customer Service immediately. 5) Can Geox.com ship to several addresses for the same order? We can only ship to one address per order. If your order includes gifts or articles to be shipped to several locations, you have to make a separate order for each address. 1) How do I return an article purchased on Geox.com? If you are not completely satisfied with your purchase, you can return the articles purchased on Geox.com via UPS free of charge or another courier of your choice. In this latter case, you must pay the shipping costs. You can return an article within 14 days of the delivery date, exclusively in the country where it was received. The article must be returned in the same conditions in which you received it, with all the tags still attached and in a single package. For more information on the return procedures, consult the Returns and refunds section. 2) How do I request my RAN (Return Authorisation Number)? If you are registered on Geox.com, log in to your account and access the “Orders” section to request a Return Authorisation Number. Identify the order containing the article or garments you want to return and click on “Return”. If you have made an order but you have not registered on Geox.com yet, you can request the Return Authorisation Number (RAN) in the Return authorisation section. Just enter the order number and your e-mail address and click on “Check status”. In both cases, you will receive an e-mail containing the RAN and the label to apply on the outside of the package. For more information on the return procedures, consult the Returns and refunds section. 3) Can I return an article purchased on Geox.com directly at a store? It is not currently possible to return an article purchased on Geox.com to a store. 4) How long do I have to wait for the refund on the returned articles? The refund is made within 14 days of the date when the returned articles are received at our warehouse. The sum will be credited using the same payment method used for the purchase. 1) How do I choose the right size for me? The product sizes indicated on Geox.com are Italian sizes. To find your size, consult the size guide on each product page. You can also find it in the Size Guide section at the bottom of the website. If the product is a tight fit or a loose fit, this will be specified in the article description, in the "Characteristics" section. 2) The article I want is no longer available in my size. Will it be restocked? The size you want might not be available at the moment. In this case, the “Notify me” button will appear when you select the article. Click on it and enter your e-mail address to receive notice when the article is once again available for purchase. 3) Where can I find more information on a product? We try to provide as much information as possible on all our products. You will find a description of the articles, the colours, characteristics and fit directly on each product page. You can also consult the Size Guide, where you will find the measurements of each article for each size. If you want further information on a product, please contact our Customer Service. 4) How do I search for an article on the website? You can search for a product on Geox.com on the main menu, where you can choose the category, then use the filters on the left-hand side of the page to choose the colour, heel height, size and price that interest you. You can also search the entire website by clicking on the search icon in the upper right-hand corner of the website and entering the name of the article you think might interest you.